Meeting of the Director of NAM CSSTC, H.E. 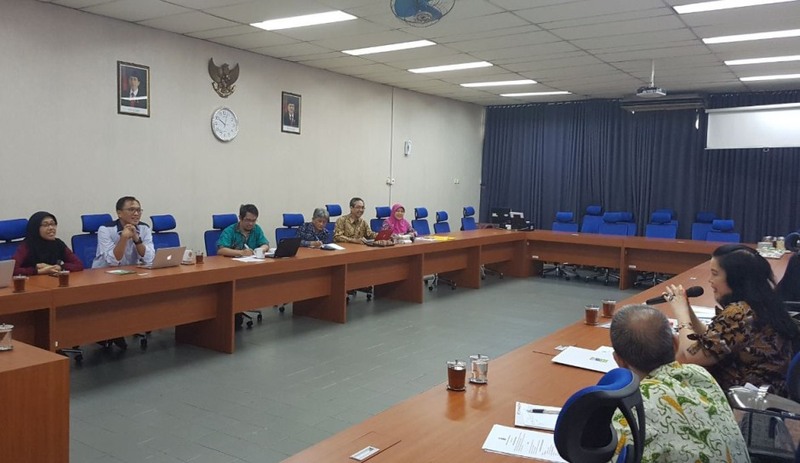 Prianti Gagarin Djatmiko-Singgih with the Board of Lecturers of the Department of Nuclear Engineering and Engineering Physics of University of Gadjah Mada (UGM) in the Campus of UGM. The Board members are also the Committee for the International Conference on Energy 2017. The meeting is intended to discuss the cooperation mechanism between NAM CSSTC and UGM in relation with the International Conference on Energy to be conducted in November 2017. 1. The history of NAM CSSTC, its vision and mission including the NAM CSSTC activities implemented during the period of 2001-2016, its modalities and criteria for the beneficiary countries. 2. The background and the objectives of the International Conference on Energy that have been conducted since 2015 with different themes every year. This year (2017) the conferences theme is “Innovative Sustainable System in Energy-Food-Water Nexus”. The theme has been widely discussed at national and international fora. It is expected that by approaching the issues of Energy, Water and Food in a nexus, the 3 pertinent SDGs goals could be addressed in an integrative, thus more productive, manner. Apart from the Conference, there is another side event called Astechnova Award. Astechnova stands for Advanced Science and Technology Innovation. The Astechnova Award is an award dedicated to a person or a group that have successfully developed an innovative system of new and renewable energy. The international competition is in progress.